Silver FM, a radio station that provides a unique learning experience to first time broadcasters from local schools in Year 10-13 is back on the airwaves and will be broadcasting on FM radio up to and on Christmas Day - playing non-stop Christmas Songs with no commercials for you to enjoy listening to whilst you tuck in to your Turkey at home with the family.. The radio station which has been licensed by Ofcom (the governments office of communications) took on the ambitous feat of broadcasting LIVE from across the town over three weeks. So far the radio station has been broadcast live from ASDA at the Dome, B & Q at Bushey Arches, Francis Combe School & Kings Langley School with more broadcasts planned over the coming week from The Market, The Ice Rink & the offices at W3RT. 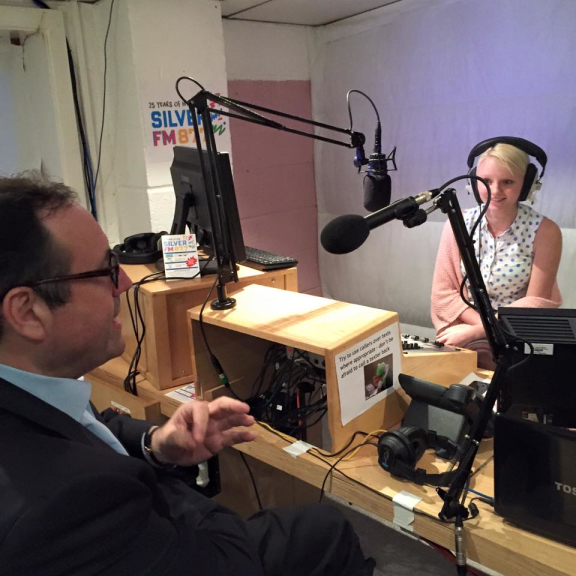 The students have also interviewed MP Richard Harrington, and Cllr Frances Button, Chair of Hertfordshire County Council.